Hello! 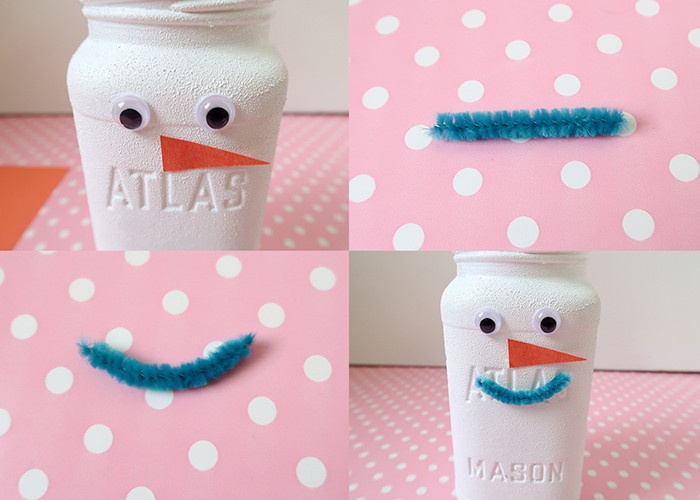 Today I’m sharing this super cute Snowman Mason Jar Craft with you! It’s so easy and a perfect way to brighten up your home this winter. Here’s what you’ll need to make it! Mason jar or other empty jar. First, make sure your jar is completely clean and dry. 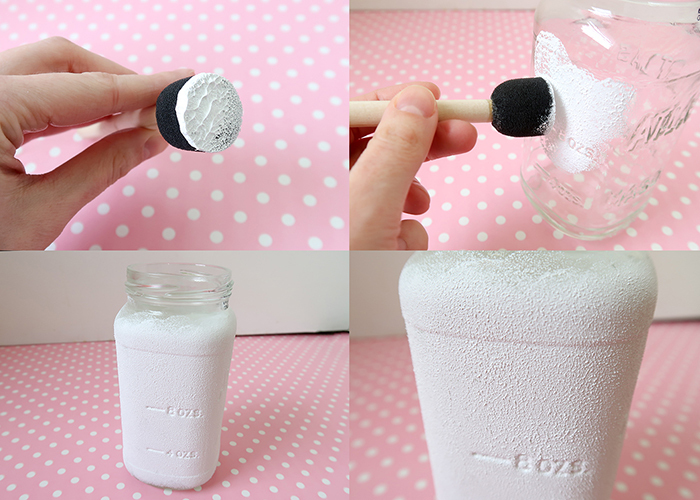 Then take your white paint on your foam brush, and dab it all over the jar. 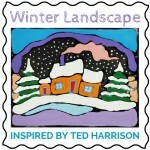 This creates a texture to the paint that looks like packed snow. Don’t forget the bottom and the top edge. Let the first layer of paint dry completely, then go ahead and add a second layer so no glass peeks through. 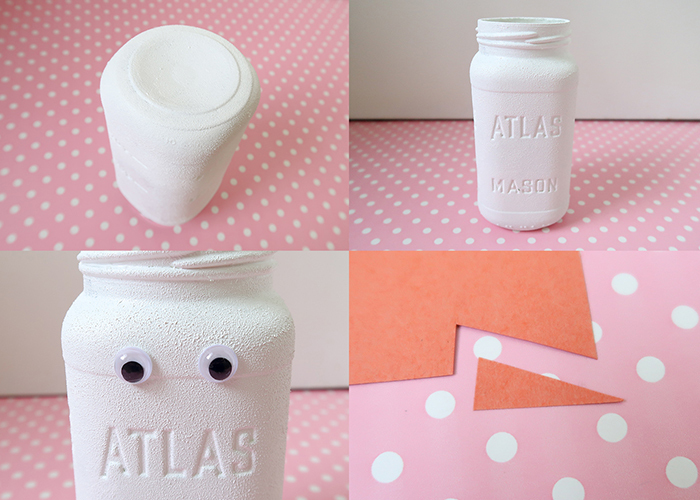 When that’s all dry, use your hot glue gun to attach your googly eyes. 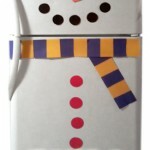 Then, cut a long rectangle out of orange paper for your snowman’s nose. Go ahead and glue that on too. I left the pointy end of the nose unglued, so it sticks up. Then take a small piece of pipe cleaner and bend it into a smile curve. Then glue that onto your snowman. 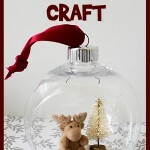 Next, cut a piece of ribbon that will fit around the middle of the jar, plus 4 inches. 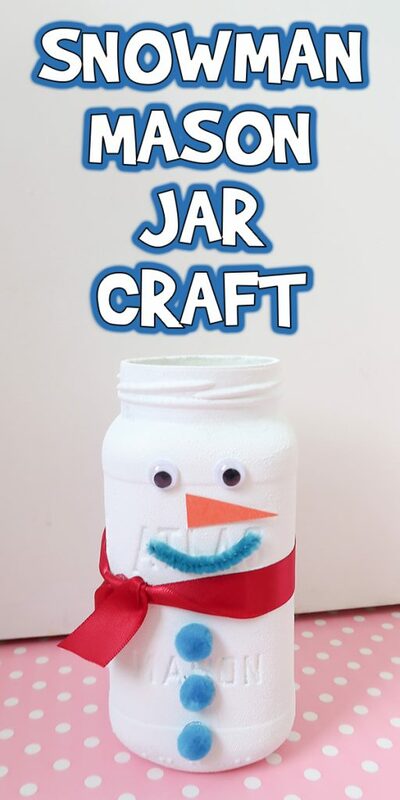 Tie it around the center of the jar below your snowman’s smile. 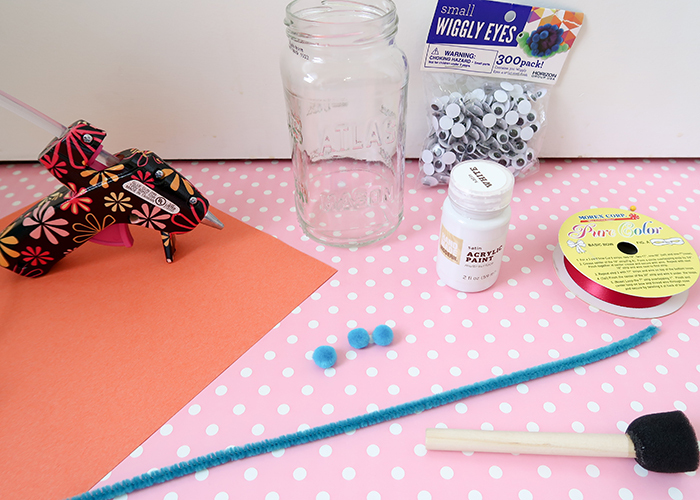 Use a dot of glue under the knot to keep it in place on the jar. 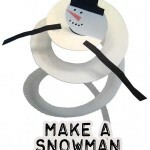 Now your snowman has a fun scarf! 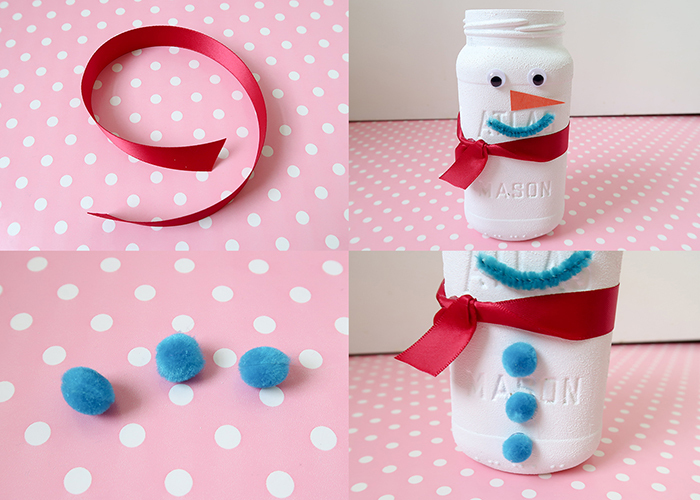 Lastly, take three blue pom poms and glue them onto your snowman’s tummy to make his buttons. And you’re all done! 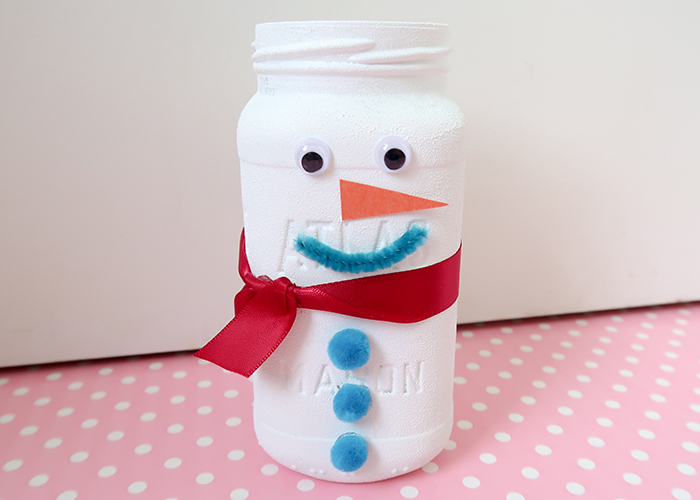 I hope you enjoyed making this Snowman Mason Jar Craft with me! 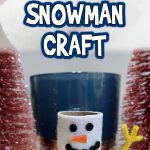 You could place a battery operated tea light inside to use your snowman as a luminary, or he could hold things like flowers or cooking utensils. 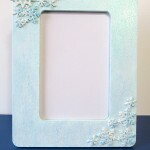 For another fun winter craft, make sure to check out my Popsicle Stick Snowflake Garland!